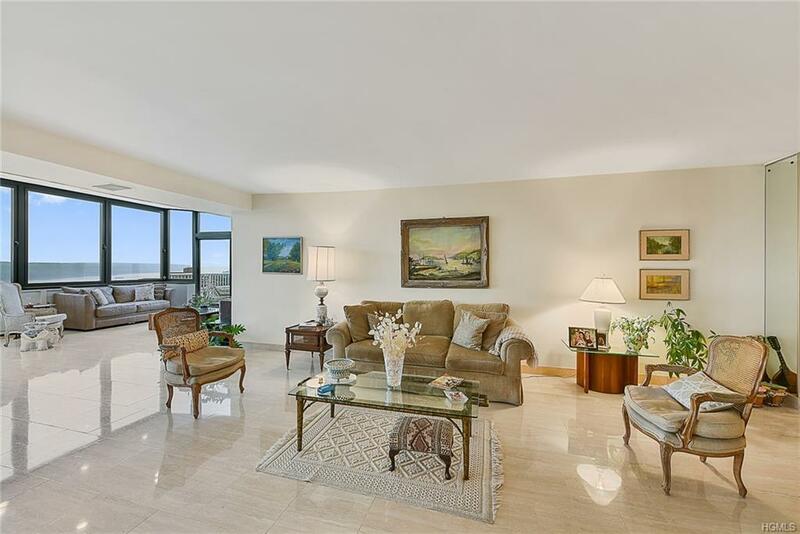 Penthouse apt. 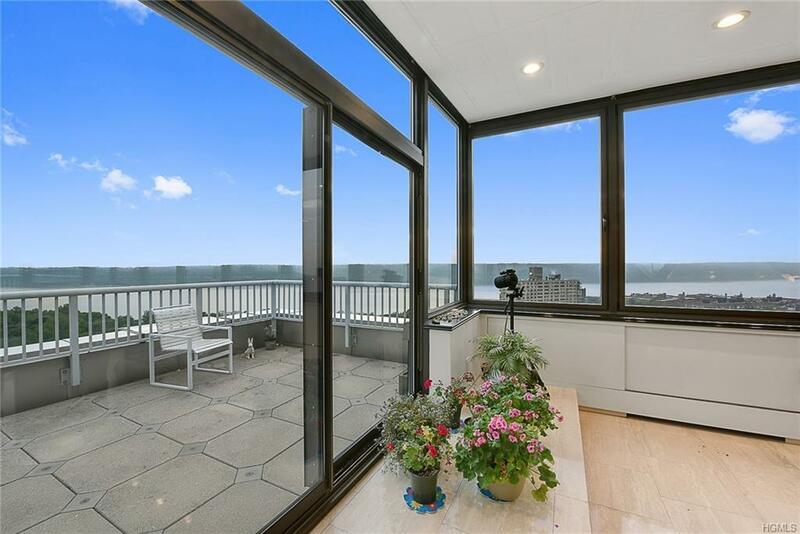 with magnificent Hudson River and Palisades views. Never miss a sunset . 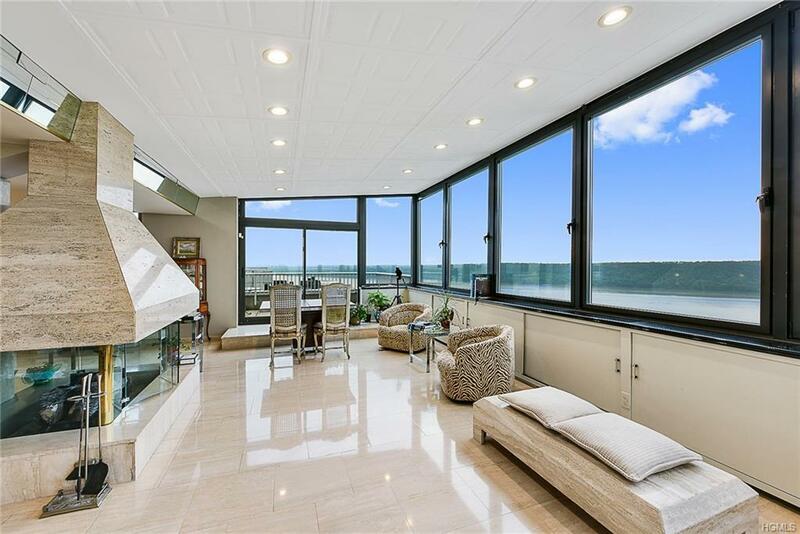 This loft like penthouse has two terraces one on the southside with views of GW bridge and another terrace on the north side with views of the Tappan Zee Bridge. Large foyer, Living room,dining room, great room or family room with marble and glass fireplace. Kitchen with washer dryer. 4 bedrooms, 4 and 1/2 baths. Master bedroom has entrance to terrace as well as great room. Master bath was enlarged and has a separate shower and jacuzzi tub. This is a truly unique apt. 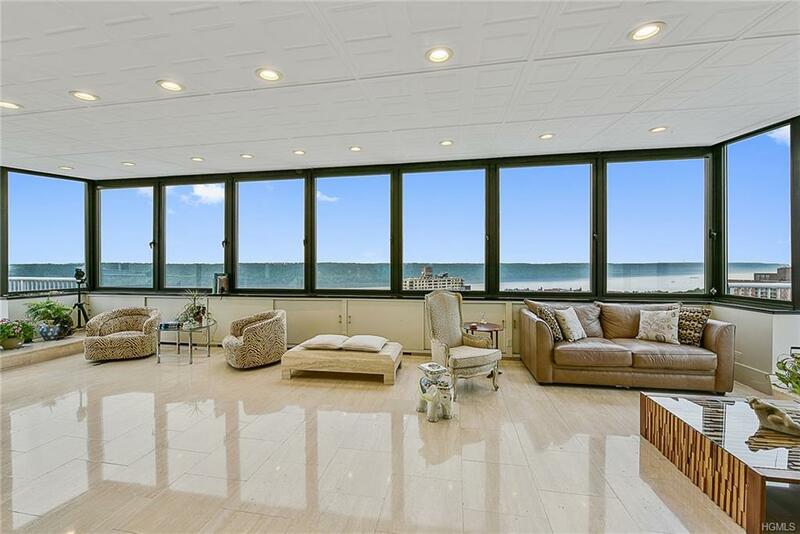 Listing courtesy of Barbara Jurist of Douglas Elliman Real Estate.